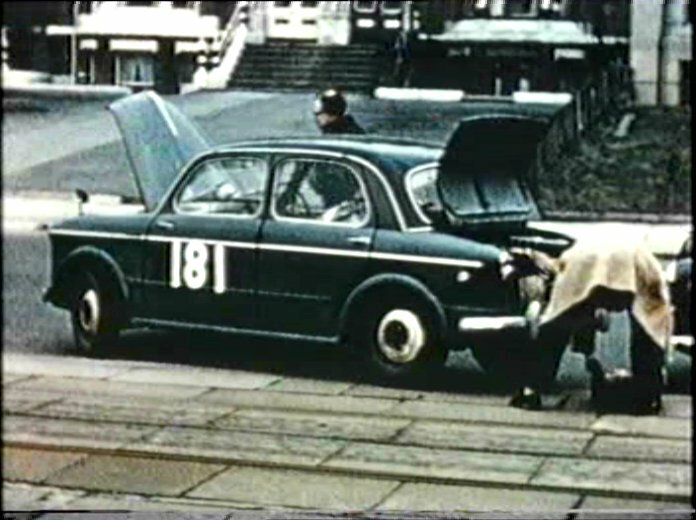 IMCDb.org: 1955 Fiat 1100 TV  in "30 Years of the RAC Rally, 1991"
RHD so a UK car. 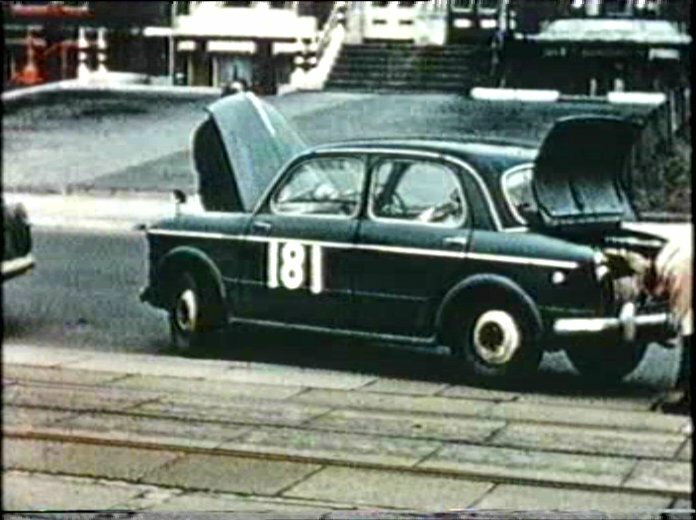 At least one 1100 TV finished the 1955 RAC Rally in 9th, but with #194. The winner was a Standard Ten, well ahead of a TR2. There may have been 1100 TV in 54 and 56 events but results are too fragmented to pursue.